“reading” and observing within sites. developing a practical understanding of the DFX. recognizing trash targets, particularly aluminum. creating your own custom ring programs based upon your specific site conditions. improving your gold count this treasure hunting season. I personally want to thank you for your books. 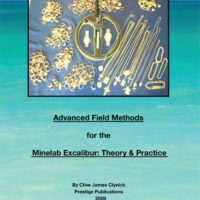 I have everyone of your excaliber and pulse books as well as some others you have written on dfx & xlt & site reading. 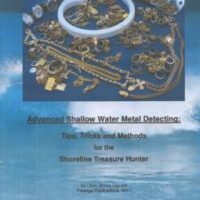 Those books have changed my metal detecting life. 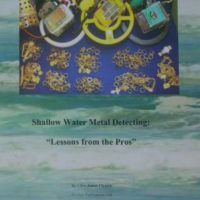 I’ve read and re-read them and they are in my mind the best books written on metal detecting. My gold and silver finds have gone way up and I even found a nice platinum on land so far this year. Thanks and take care! 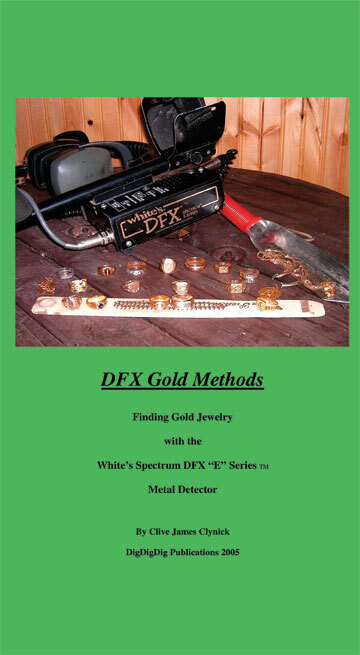 Clive’s book “DFX Gold Methods” should be your study guide. I, myself consider that to be THE jewelry hunter’s handbook. I’ve proved out what Clive has stated there over and over again. I’d write a book myself only I’d just be restating what Clive has already written.